Home Blogs Snap Shots What about Trompe l’oeil this weekend? What about Trompe l’oeil this weekend? 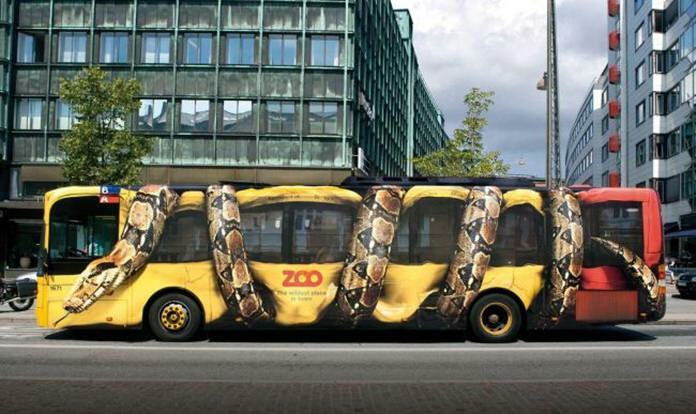 Trompe l’œil (French for “deceive the eye”) is an art technique that uses realistic imagery to create the optical illusion that the depicted objects exist in three dimensions. Forced perspective is a comparable illusion in architecture. There are many examples of trompe l’oei from famous painters, but the art of illusion is nothing new, originating in the Baroque period, when it refers to perspectival illusionism, but trompe l’œil dates much further back. It was (and is) often employed in murals. Instances from Greek and Roman times are known, for instance in Pompeii. 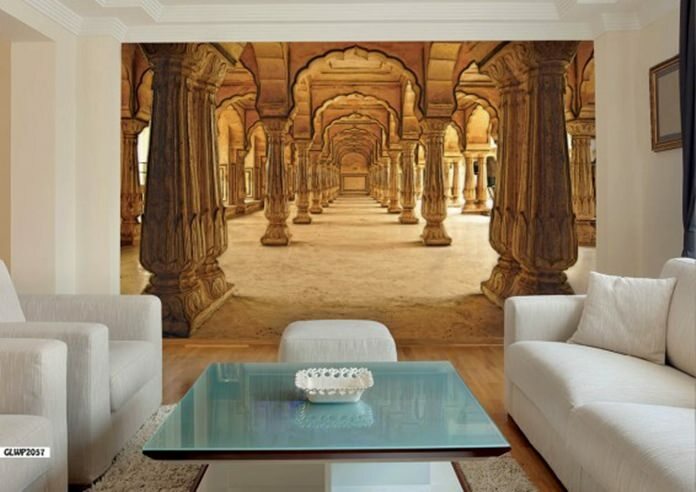 A typical trompe l’œil mural might depict a window, door, or hallway, intended to suggest a larger room. My favorite cartoon character employs trompe l’œil that appears in many Looney Tunes, such as the Road Runner cartoons, where, for example, Wile E. Coyote paints a tunnel on a rock wall, and the Road Runner then races through the fake tunnel. Coyote follows, but the tunnel was just a painted illusion. Several contemporary artists use chalk on pavement or sidewalk to create trompe l’œil works, a technique called street painting or “pavement art.” These creations last only until they are washed away, and therefore they must be photographed to be preserved. From the photographic point of view, you can set up trompe l’oeil images, such as combining moon shots with a person apparently holding the moon in their hand. Other images can be recorded in commercial art shows where you can stand in front of a ‘realistic’ painted background making it look as if you are feeding a dinosaur for example. All to deceive the eye. Those who are savvy with post-production apps such as Photoshop can combine images, but I like to see you do all this in the camera, rather than afterwards. It can be a very rewarding project. Trompe l’oeil images do not require fancy cameras, though I would suggest even a compact rather than a phone-cam. You are trying to project realism, so you may as well start with a camera that can give you sharp images. 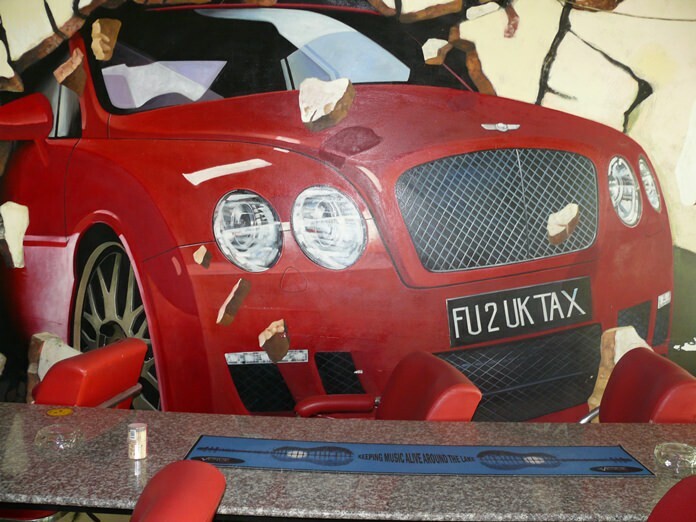 The Bentley crashing through the wall is a mural in The Venue Mabprachan music pub. The number plate you can work out for yourselves!